While developing a customized financial plan, we will walk you through our unique planning process. 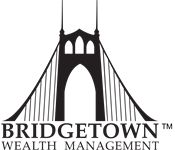 The team at Bridgetown Wealth Management offers many tools to help pursue your financial goals. Your Wealth Management Site is a major component on the road towards success. This site allows you to communicate directly with your team at Bridgetown Wealth Management, while tracking your goals. Please view the videos below to gain a better understanding of what this site can do. One more way the team at Bridgetown Wealth Management works for you!